What is Krosscoin™? What’s its mission? Krosscoin™ is a very elegant concept: we build innovative apps that have a large customer base potential. We also allow third-party developer apps into our ecosystem. All apps are monetized with KSS tokens using a ‘’PAY-AS-YOU-USE’’ framework. Our first apps utilizing the Krosscoi™n Platform is the patent pending Pipdroid app family. 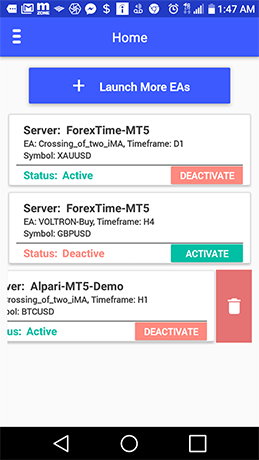 Pipdroid apps lets forex and crypto traders launch and manage trading bots right from their smartphones. 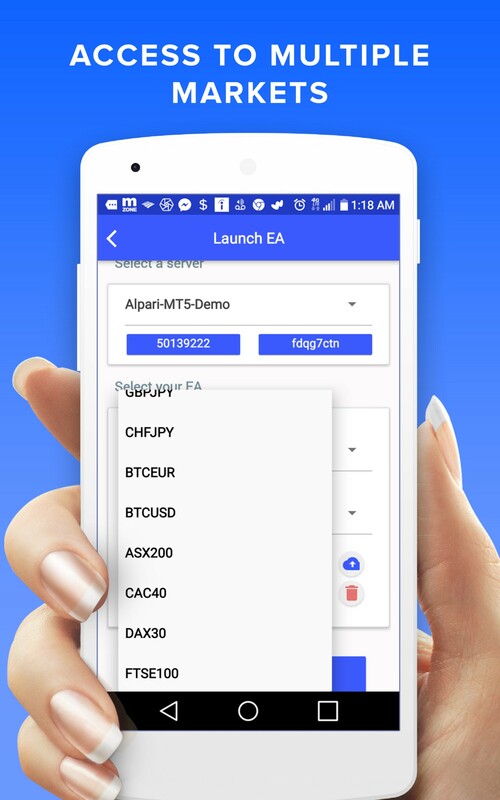 Imagine being able to access and launch bots to both forex broker platforms and crypto exchanges, right from your hand held device, anywhere you are!!. The Krosscoin™ Team’s mission is to have Krosscoin™ ecosystem showcase a plethora of innovative and disruptive application solutions within the next 5 years. The KSS token being the monetization currency on solutions serving millions of users or consumers around the world. The partnership forged with both world-class and upcoming developers in both developed and developing countries will create an innovation culture within the Krosscoin™ global team. Using Blockchain technology to bridge gaps, improve communication, foster trade, develop healthcare solutions, disrupt fintech, and improve certain government processes, the KSS token stands to be among the top 20 cryptocurrencies in the world by 2020. The first apps in the ecosystem is the Pipdroid app family, and the Ribbon app. Automated trading is done by over 10 million people daily. However traders have been limited by stationary infrastructure with majority of them having to maintain expensive monthly costs just to launch a bot. Pipdroids drastically reduces costs by offering a cloud bot management mobile platform, where traders can launch bots to several markets; forex, commodities, cryptocurrencies, anything the Pipdroid API is connected to. Pipdroid Pearl™ and Pipdroid Petal™ are released already as proof of concept limited beta on the Google Play store. These apps have a potential market of 5 million users conservatively, who use the Metatrader platforms via several forex brokers. Pipdroid Pearl launches to MT5 platform, while Pipdroid Petal launches to Metatrader 4 platform. 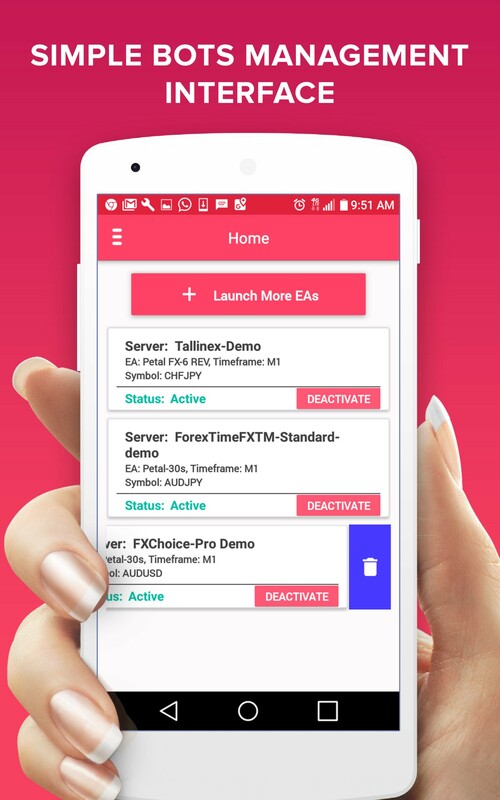 Over 40 forex broker demo and live severs from over 12 popular forex brokers are connected to these apps. Automated trading is now mobile, thanks to the Krosscoin™ ingenuity. The mobile app market is estimated to be at $188.9B by 2020 (Source: Statista, 2018). With an annual growth rate of 30%, the mobile app market will reach $1.5T by the year 2028. Krosscoin’s™ mission is to capture $100B market share by the year 2028. The Krosscoin™ project will achieve this by establishing a great presence in the fast growing developing countries in Africa and Asia, through several innovative million user applications, all monetized with KSS tokens or corresponding native token in the future Kross Blockchain. N.B: Krosscoin™ or the Pipdroid Apps is not affiliated with MetaQuotes Software Corp as of this date.